The City Assessors' Office is responsible for assessments and abatements for real estate, personal property and motor vehicle and boat excise taxes, personal exemptions, tax deferrals, deed references and property information. The Board of Assessors is the local agency responsible for the assessment and administration of all local taxes provided for by the General Laws of the Commonwealth. The Board consists of three members: the director of assessing, appointed by the chief financial officer, and two assessors, appointed by the City Council. Providing support for the Board are an appraisal staff and a clerical staff that are responsible for maintaining the Board’s informational database on properties and assisting the Board in its administrative duties. There are four principal local taxes administered by the Board: real and personal property taxes, and motor vehicle and boat excise taxes. The assessors are responsible for determining assessments and calculating the appropriate amount for each type of tax. That information is then forwarded to the tax collector, who then assumes responsibility for issuing bills and collecting the tax. The Board is also responsible for processing requests for adjustments to the original taxes, and issuing any appropriate abatements. The Board is supervised in its administration of local taxation statutes by the Department of Revenue’s Division of Local Services, as provided by Chapter 58 of the General Laws. Among other duties, the division reviews that Board’s assessment procedures every five years in order to certify that property is being assessed at its full cash value, reviews its revenue and spending projections to ensure compliance with Proposition 2-1/2 prior to approving a tax rate each year, and issues legal opinions and sets procedural guidelines that direct the assessors in the performance of their duties. January 1, 2019 Statutory assessment date for FY 2020. February 1, 2019 Third quarter FY 2019 actual tax bills due. February 15, 2019 First commitment of motor vehicle excise bills for 2019 issued (approximate). April 1, 2019 Deadline for filing of statutory personal exemptions for FY 2019. May 1, 2019 Fourth quarter FY 2019 actual bills due. June 20, 2019 Final date for Assessors to commit revised or omitted assessments for FY2019. June 30, 2019 Determination date for taxing improvements for FY 2020. July 1, 2019 First day of FY 2020. Eligibility date for FY 2020 statutory exemptions. August 1, 2019 First quarter FY 2020 preliminary tax bills due. October 31, 2019 Deadline to apply for Senior Citizen Property Tax Work-Off Abatement. November 1, 2019 Second quarter FY 2020 preliminary tax bills due. December 12, 2019 Classification hearing before City Council to allocate tax burden between residential and commercial properties for FY 2020 (tentative). December 31, 2019 Actual FY 2020 property tax bills are mailed. Abatement filing period commences. *If the due date falls on a weekend, the tax payment/filing deadline is the first business day following the due date. Property values for FY' 2019 are now available for viewing on-line or in City Hall. Click here for more info and to view valuations on-line. Please note: You may access a map by clicking on the corresponding map rectangle in the index. The first three digit segment of the Parcel ID corresponds to the appropriate map. Over 60 years of age as of July 1st of fiscal year. 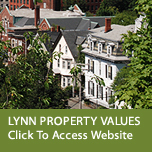 Lynn resident for minimum of five (5) years. Income eligible; based on the state Circuit Breaker guidelines. Copy of income tax return is required with application. If no tax return filed, applicant must submit an IRS Form 4506-T for verification of non-filing. Applications will be accepted on a first come, first served basis and will be assigned dependent upon job availability. Applicants must be able to complete a maximum of 50 hours by November 30th to be eligible to receive tax credit on the following years’ bill. Work program begins December 1 and ends November 30th or once the applicant earns gross wages of $600. Maximum annual abatement of property taxes shall not exceed $600 for 50 hours. Application deadline is October 31st for the following years’ program. Hourly rate paid will be the State minimum wage as of January 1st each year. The current hourly minimum wage rate is $12 per hour. City employees (individuals on the municipal payroll full time) and their immediate family are not eligible for this program. C.O.R.I check, Privacy Statement, and Confidentiality Agreement required. Copy of Picture I.D should be included with each application. Senior Abatement Committee, consisting of the Director of Assessing or designee, a designee of the Mayor’s Office, a designee of the City Council, and a designee of the Council on Aging, will review all applications and determine participant’s eligibility. Abatement earned is considered taxable income for federal tax purposes only (not taxable for state tax purposes) even though the City is not obligated to issue a Federal 1099 form for payments less than $600 (A tax advisor should be consulted as to federal reporting requirements). Rules and guidelines will be reviewed periodically and changes will be made as necessary.